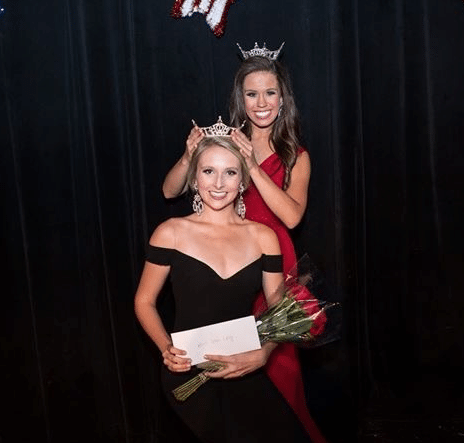 Brooklyn Holt, a senior at Auburn University and graduate of Oak Mountain High School, recently was crowned Miss Iron City 2018-19. The win qualified her to compete in the Miss America system’s Miss Alabama pageant. A decorated pageant winner, Holt began competing in pageants when she was 15 years old, participating in the Miss Alabama Outstanding Teen program. She has spent six years in the Miss America system, three times in the Outstanding Teen program and now in her third year with the Miss America program. “You could say I have been preparing for a long time,” Holt said. Throughout her pageant career, Holt has used her participation to promote her platform, “Raise Your Voice for Children,” which addresses the issue of impoverished children and their families whose needs are not being met. Her platform complements the Miss America program’s support of the Children’s Miracle Network. The thousands of dollars Holt has raised through her various campaigns and many speaking engagements she has hosted have been used to advocate for and support the organization’s hospitals. “Being crowned Miss Alabama would provide me with wonderful opportunities to continue my journey and make an impact on the lives of children and their families,” Holt said. Throughout her career in the pageant system, Holt has earned the honors of Distinguished Young Woman of Shelby County 2015, Distinguished Young Woman of Alabama 2015, first runner-up for the Miss Alabama Outstanding Teen Quality of Life Community Service Award and the 2017 Miss Alabama Top 5. For more information on Holt’s campaign, follow her on social media @missironcity.